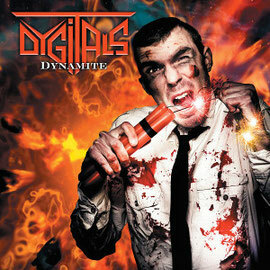 French Heavy Metal act DYGITALS will release their new album "Dynamite" on May 5th (North America) and on 21st (Europe) through Mausoleum Records. 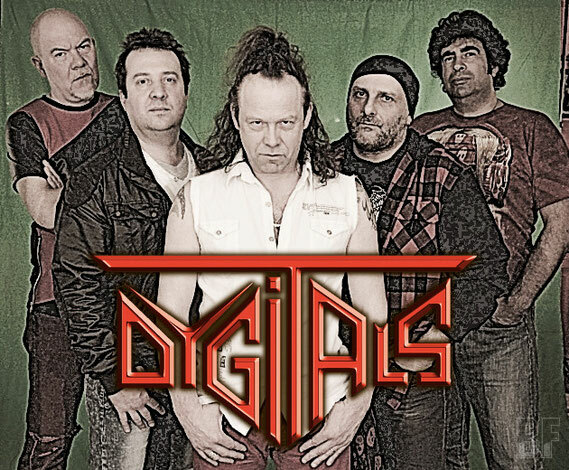 DYGITALS was formed in 1984 by vocalist Hervé Traisnel, and originally playing Hard Rock until 1988, which they had absorbed influences from American bands like Bon Jovi, Ratt and Mötley Crüe, with a mixture of metal in a unique way. During the US tour the band played at several night clubs including the renown clubs such as Whiskey A Go Go and Gazzarri’s. It is said the experiences in there changed their musical style. After DYGITALS got back to France, they have released two albums brought a serious renewed interest from both fans and media. The album "Dynamite" was produced, engineered and mixed by Didier Chesneau at MII Recording Studio in Dreux, France. Fans of both Hard Rock and Heavy Metal sure will like it.